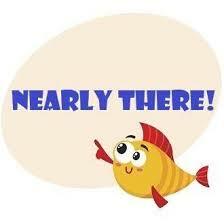 Aldi Play Rugby Competition - Nearly there!!! We are on our way to completing and filling a 2nd poster to submit to Aldi for their competition. Promotion finishes on Sunday 07th April. Please encourage your family and friends to help us to finish and submit a 2nd poster to be in with a chance to win some of the prizes listed below. · Every school that enters with a fully completed poster will get an Aldi Play Rugby kit bag, 4 rugby balls and a set of Aldi Play Rugby water bottles sent to the school.